Rotavirus A is one of the leading etiological agents of porcine gastroenteritis, a condition which results to stunted growth among piglets. Moreover, there is increasing evidence for zoonosis of rotavirus A (RVA), which is also the principal cause of diarrhea in children. In the absence of rigorous animal health monitoring in Philippine backyard farms, there is therefore a strong need for RVA surveillance. In this study, 30 randomly selected backyard farms were subjected to surveillance for RVA for 12 months. Results show that RVA detection at a monthly farm-level rate ranged from 0 to 52%, with an overall average of 23%. 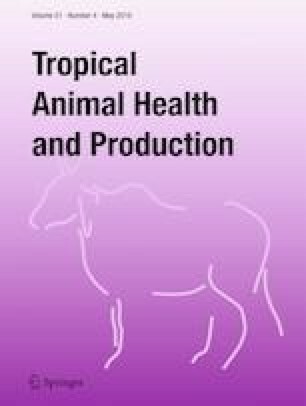 RVA had higher detection rates in adult pigs compared to young piglets and was most prevalent in non-diarrheic stools, indicating asymptomatic circulation of the virus. Spatiotemporal analysis demonstrated that the viral circulation exhibits a seasonal pattern that peaks and forms geographical clusters during the cooler months of the year, suggesting farm-to-farm transmission. Risk factor analysis identified specific farm conditions that increase the likelihood of RVA circulation: presence of gilts, larger herd size, presence of other animals, and abiotic factors such as low relative humidity and low altitude. The same analysis also revealed three major management practices that can help reduce the pressure of infection in these farms: sanitation and waste disposal, animal grouping, and diet. This new perspective on porcine RVA circulation will benefit the underprivileged backyard farmers and help empower them to protect both animal and public health. Lyre Anni E. Murao and Michael G. Bacus contributed equally to this work. The online version of this article ( https://doi.org/10.1007/s11250-018-1776-3) contains supplementary material, which is available to authorized users. The authors would like to thank the local government officials and farmers who granted permission to conduct the study in the area. This project was funded by the University of the Philippines Balik-PhD Program OVPAA-BPhD-2016-04. Informed consent was obtained from all individual backyard farmers who participated in the study. This article does not contain any clinical studies or patient data.